Merrillite: Mineral information, data and localities. Named by Edgar T. Wherry in 1917 in honor of George Perkins Merrill (31 May 1854, Auburn, Maine, USA – 15 August 1929, Auburn, Maine, USA), Curator of Geology, U.S. National Museum (Smithsonian Institution). Merrill earlier described the material. Whitlockite Group. Mg-dominant analogue of Ferromerrillite. Merrillite was revalidated as a valid species in 1976. Merrill (1915) described the mineral from (at least) 4 meteorites, which may be considered type localities: Alfianello, Dhurmsala, Pultusk, Rich Mountain. All reported non-terrestrial 'whitlockites' are actually merrillite. Hexagonal cleavage at times (indistinct). Tschermak, G. (1883) Sitzber. Akad. Wiss. Wien, Math-naturw. K1.88, Abt. 1: 347-371. Merrill, G.P. (1917) On the calcium phosphate in meteoric stones. American Journal of Science: 43: 322-324. Shannon, E.V., Larsen, E.S. (1925) Merrillite and chloraptite from stony meteorites. American Journal of Science: 9: 250-260. Barnes (1940) University of Texas Publication 3945: 623. Palache, C., Berman, H., Frondel, C. (1951) The System of Mineralogy of James Dwight Dana and Edward Salisbury Dana, Yale University 1837-1892, Volume II. John Wiley and Sons, Inc., New York, 7th edition, revised and enlarged, 1124 pp. : 797. Fuchs, L.H. (1962) Occurrence of Whitlockite in Chondritic Meteorites. Science: 137: 425-426. Mason, B. (1971) Merrillite and Whitlockite or What's in a Name? Mineralogical Record: 2: 277-279. Dowty, E. (1977) Phosphate in Angra Dos Reis: Structure and composition of the Ca3(PO4)2 minerals. Earth and Planetary Science Letters: 35: 347-351. Hughes, J.M., Jolliff, B.L., Gunter, M.E. (2006) The atomic arrangement of merrillite from the Fra Mauro Formation, Apollo 14 lunar mission: The first structure of merrillite from the Moon. American Mineralogist: 91: 1547-1552. Jolliff, B.L., Hughes, J.M., Freeman, J.J., Zeigler, R.A. (2006) Crystal chemistry of lunar merrillite and comparison to other meteoritic and planetary suites of whitlockite and merrillite. American Mineralogist: 91: 1583-1595. Hughes, J.M., Jolliff, B.L., Rakovan, J. (2008) The crystal chemistry of whitlockite and merrillite and the dehydrogenation of whitlockite to merrillite. American Mineralogist: 93: 1300-1305. Adcock, C.T., Hausrath, E.M., Forster, P.M., Tschauner, O., Sefein, K.J. (2014) Synthesis and characterization of the Mars-relevant phosphate minerals Fe- and Mg- whitlockite and merrillite and a possible mechanism that maintains charge balance during whitlockite to merrillite transformation. American Mineralogist: 99: 1221-1232. McCubbin, F.M., Shearer, C.K., Burger, P.V., Hauri, E.H., Wang, J., Elardo, S.M., Papike, J.J. (2014) Volatile abundances of coexisting merrillite and apatite in the martian meteorite Shergotty: Implications for merrillite in hydrous magmas. American Mineralogist: 99: 1347-1354. Shearer, C.K., Burger, P.V., Papike, J.J., McCubbin, F.M., Bell, A.S. (2015) Crystal chemistry of merrillite from Martian meteorites: mineralogical recorders of magmatic processes and planetary differentiation. Meteoritics and Planetary Science: 50: 649-673. Xie, X., Yang, H., Gu, X., Downs, R.T. (2015) Chemical composition and crystal structure of merrillite from the Suizhou meteorite. American Mineralogist: 100: 2753-2756. Britvin, S.N., Krivovichev, S.V., Armbruster, T. (2016) Ferromerrillite, Ca9NaFe2+(PO4)7, a new mineral from the Martian meteorites, and some insights into merrillite-tuite transformation in shergottites. European Journal of Mineralogy: 28: 125-136. Merrill, G.P. (1915). On the Monticellite-like Mineral in Meteorites, and on Oldhamite as a meteoritic Constituent. Proceedings of the National Academy of Science 1: 302-308. Meyer, C. (2001) Mars Meteorite Compendium: XXIV-1-2. Yanai, K., Kojima, H., Matsumoto, Y. (1983) A Brachina-like inclusion in the Yamato-75097 L6 chondrite - A preliminary examination: Symposium on Antarctic Meteorites, 8th: National Institute of Polar Research, Memoirs, Special Issue 30: 29-35. (Dec 1983). ; Kaneoka, I., Takaoka, N. & and Yanai, K. (1988) 40Ar-39 Ar Analyses of Yamato-75097 (L6) Chondrite from Antarctica: Proc. NIPR Symp.Antarct. Meteorites, 1, 206-214 (1988). ; Grady, M.M., Pratesi, G. & Moggi-Cecchi, V. (2015) Atlas of Meteorites. Cambridge University Press: Cambridge, United Kingdom. 373 pp. Mikouchi, T., Miyamoto, M. & McKay, G. A. (1996) Mineralogical study of Angrite Asuka-881371: Its possible relation to Angrite Lew87051. Proc. NIPR Symp. Antarct. Meteorites 9:174-188. Wadhwa, M. and Crozaz, G., (1998) The igneous crystallization history of an ancient Martian meteorite from rare earth element microdistributions. Meteoritics & Planetary Science: 33 (4), 685–692. (July 1998). Cirlin, E.-H. (1984) SEM Studies of Whitlockite and Chromite in Metal-Sulfide Droplets in a C3 Allan Hills Meteorite and Their Implications (Abstract. ): Lunar and Planetary Science XV: 162-163. (Mar 1984). ; Housley, R. M. (1984) An SEM study of preterrestrial alteration effects in ALHA 77003. Meteoritics 19( 4): 242 - 243. (Dec 1984). Ikeda, Y (1994) Petrography and petrology of the ALH-77005 shergottite: Proc. NIPR Symposium Antarctic Meteorites 7: 9-29.; Shearer, C.K., Burger, P.V., Papike, J.J., McCubbin, F.M. & Bell, A.S. (2015) Crystal chemistry of merrillite from Martian meteorites: Mineralogical recorders of magmatic processes and planetary differentiation. Meteoritics & Planetary Science 50 (4): 649-673. (Apr 2015). Kimura, M. & Ikeda, Y. (1997) Chlorine-bearing Phases in Ordinary Chondrites: Meteoritics & Planetary Science 32 (4, Suppl. ): page A72. (July 1997). Kimura, M. & Ikeda, Y. (1997) Chlorine-bearing Phases in Ordinary Chondrites: Meteoritics & Planetary Science 32 (4, Suppl. ): p. A72. (July 1997). Mikouchi, T., Miyamoto, M. & McKay, G. A. (1998) Mineralogy of Antarctic basaltic shergottite QUE94201: Similarities to EETA7900 1 (Lithology B) martian meteorite. Meteoritics & Planetary Science 33 (2): 181-189. (March 1998). ; Aramovich, C. J., Herd, C. D. K. & Papike, J. J. (2001) Possible Causes for Late-Stage Reaction Textures Associated with Pyroxferroite and Metastable Pyroxenes in the Basaltic Martian Meteorites (abstract): 32nd Annual Lunar and Planetary Science Conference, abstract#1003. (Mar 2001); Shearer, C.K., Burger, P.V. Papike, J.J., McCubbin, F.M. & Bell, A.S. (2015) Crystal chemistry of merrillite from Martian meteorites: Mineralogical recorders of magmatic processes and planetary differentiation. Meteoritics & Planetary Science 50 (4): 649-673. Pellas, P. & Fieni, C. (1966) Spallation Tracks in Merrillites of Ordinary Chondrites: Meteoritics & Planetary Science 31: p. A106. (July 1996). ; Henke, S., Gail, H.-P., Trieloff, M. & Schwarz, W.H. (2013) Thermal evolution model for the H chondrite asteroid-instantaneous formation versus protracted accretion: Icarus 226(1): 212-228. (Sept 2013). Pellas, P., Perron, C., Bourot-Denise, M., Fieni, C., Ghelis, M. & Crozaz, G. (1987) Very High Track-Densities in Forest Vale (H4) Merrillites: Was Cm248 Alive in the Early Solar System? Abstracts of the Lunar and Planetary Science Conference 18: p. 772. (March 1987). Fuchs, L.H. (1969) The Phosphate Mineralogy of Meteorites: IN: Meteoritic Research: Millman, P.M.-Ed. : pp. 683-695. D. Reidel Publishing Company: Dordrecht-Holland. Mittlefehldt, D. W., McCoy, T. J., Goodrich, C. A. & Kracher, A. (1998). Non-chondritic meteorites from asteroidal bodies. In: Planetary Materials (Papike, J. J. [Ed. ]): Chapter 4, 195 pages. Mineralogical Society of America: Washington, DC, USA. Ruzicka, A., Fowler, G. W., Snyder, G. A., Prinz, M., Papike, J. J., & Taylor, L. A. (1999). Petrogenesis of silicate inclusions in the Weekeroo Station IIE iron meteorite: Differentiation, remelting, and dynamic mixing. Geochimica et Cosmochimica Acta, 63(13), 2123-2143. 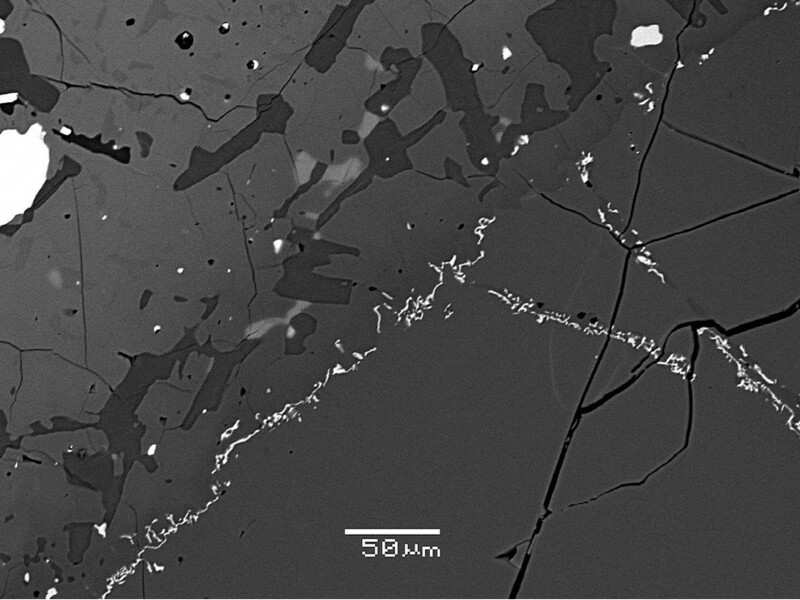 Inoue, M. Itoh, S.,Yurimoto, H., Kimura, M. & Nakamura, N. (2012) A granular-olivine Clast with fractionated REE from the Murchison CM Chondrite: Evidence for alteration/metamorphism and melting on the CM parent asteroid. 75th Annual Meeting of the Meteoritical Society. pdf#5099. Delaney, J. S., Prinz, M., Harlow, G. E., & Nehru, C. E. (1982) Metamorphism in mesosiderites. In: Proceedings of the Lunar and Planetary Science Conference XII . Section 2. p. 1315-1342: New York and Oxford, Pergamon Press. ; Mittlefehldt, D. W., McCoy, T. J., Goodrich, C. A. & Kracher, A. (1998). Non-chondritic meteorites from asteroidal bodies. In: Planetary Materials (Papike, J. J. [Ed. ]): Chapter 4, 195 pages. Mineralogical Society of America: Washington, DC, USA. Schadler, J. & Rosenhagen, J. (1933) Der Meteorsteinfall von Prambachkirchen (Oberösterreich) am 5. November 1932. Hölder-Pichler-Tempsky: Komm. Kothari, B. K. & Rajan, R. S. (1980) Brecciation Chronology of Xenolithic Chondrites Using Fission Tracks (Abstract. ): Lunar and Planetary Science XI: 573-575. Delaney, J. S., Nehru, C. E., Prinz, M. & Harlow, G. E. (1981) Metamorphism in mesosiderites: Proceedings of the Lunar and Planetary Science Conference, 12B: 1315-1342. Levi-Donati, G.R. & Sighinolfi, G.P. (1974) The meteoritic shower Parambu, Ceara State, Brazil: — Mineralogy and Petrology. Meteoritics 9(1):1-9. (March 1974). ; Gomes, C.B. & Keil, K. (1980) Brazilian Stony Meteorites: University of New Mexico Press: Albuquerque. 162 pages. Lunar & Planetary Science 30, #1908 (1999); Steele, I. M., & Smith, J. V. (1976). Mineralogy of the Ibitira eucrite and comparison with other eucrites and lunar samples. Earth and Planetary Science Letters, 33(1), 67-78. Keil, K., Lange, D., Ulbrich, M. N. C., Gomes, C. B., Jarosewich, E., Roisenberg, A., & Souza, M.J. (1978) XIII - Mineralogy, petrology, and chemistry of the Putinga, Rio Grande do Sul, chondrite: Meteoritics 13:165-175. (June 1978). ; Gomes, C.B. & Keil, K. (1980) Brazilian Stony Meteorites: University of New Mexico Press: Albuquerque. pp. 162. Lewis, J. A. & Jones, R.H. (2013) Phosphate Mineralogy of petrologic type 4-6 ordinary chondrites: 44th Lunar and Planetary Science Conference, 2722.pdf. Gomes, C.B. & Keil, K. (1980) Brazilian Stony Meteorites: University of New Mexico Press: Albuquerque. pp. 162.; Jones, R.H. & McCubbin, F.M. (2012) Phosphate Mineralogy and the bulk chlorine/Fluorine ratio of ordinary chondrites: 43rd Lunar and Planetary Science Conference, 2029.pdf. Crozaz G., Pellas, P., Bourot-Denise, M., de Chazal, S.M., Fieni, C., Lundberg, L.L. & Zinner, E. (1989) Plutonium, uranium and rare earths in the phosphates of ordinary chondrites—the quest for a chronometer: Earth and Planetary Science Letters 93: 157-169. Mold, P., Bull, R.K. & Durrani, S.A. (1982) Plutonium-244 concentrations in chondritic phosphates and their significance in fission-tracks dating of meteorites. IN: Solid State Nuclear Track Detectors: Proceedings of the 11 International Conference Bristol (Fowler, P., ed. ): pp. 851-854. Walton, E. L. & Spray, J. G. (2003) Mineralogy, petrology, and thermal evolution of the Benton LL6 chondrite: Meteoritics & Planetary Science 39(8, Suppl.):A157—A161. (Sept 2003). Lewis, J.A. & Jones, R.H. (2016) Phosphate and feldspar mineralogy of equilibrated L chondrites: The record of metasomatism during metamorphism in ordinary chondrite parent bodies: Meteoritics & Planetary Science 51(10): 1886. (Oct 2016). ; Jones, R.H., McCubbin, F.M., Dreeland, L., Guan, Y., Burger, P.V. & Shearer, C.K. (2014) Phosphate minerals in LL chondrites: A record of the action of fluids during metamorphism on ordinary chondrite parent bodies. Geochimica et Cosmochimica Acta 132: pp. 120-140. (May 2014). X. Xie, M. Minetti, M. Chen, H. Mao, D. Wang, J. Shu & Y. Fei (2003): Eur. Journ. Mineral. 15, 1001-1005; Xiande Xie, Hexiong Yang, Xiangping Gu & Robert T. Downs (2015) Chemical composition and crystal structure of merrillite from the Suizhou meteorite: American Mineralogist 100: 2753-2756. Hoinkes, G., Kurat, G. & Batic, l. (1976) Dubrovnik: Ein L3-6 Chondrit. Annalen Naturhistorisches Museums des Wien 80, 39-55. Hutchison R., Alexander C.M.O’D. & Bridges, J.C. (1998) Elemental redistribution in Tieschitz and the origin of white matrix. Meteoritics & Planetary Science 33 (5): 1169–1179. (Sept 1998). de Chazal, S., Crozaz, G. & Zinner, E. (1985) Uranium, Plutonium, and REE in Ordinary Chondrites (Abstract): Lunar and Planetary Science Conference XVI: 169-170. Palache, C., Berman, H., & Frondel, C. (1951), The System of Mineralogy of James Dwight Dana and Edward Salisbury Dana, Yale University 1837-1892, Volume II: 797.; Jones, R.H., McCubbin, F.M., Dreeland, L., Guan, Y., Burger, P.V. & Shearer, C.K. (2014) Phosphate minerals in LL chondrites: A record of the action of fluids during metamorphism on ordinary chondrite parent bodies. Geochimica et Cosmochimica Acta 132: pp. 120-140. (May 2014). Murrell, M.T., Brandriss, M., Woolum, D.S. & Burnett, D.S. (1984) Pu-REE Partitioning Between Apatite and Whitlockite (Abstract): Lunar and Planetary Science XV: 579-580. (March 1984). Kothari, B.K. & Rajan, R.S. (1980) Fission Track Ages of Fayetteville, Weston and St. Mesmin Phosphates: Implications Regarding Brecciation (abstract). Meteoritics 15 (4): 318-19. (Dec 1980). Manhes, G., Minster, J.-F., & Allegre, C. J. (1975). Lead-lead and rubidium-strontium study of the Saint-Severin LL6 chondrite: Meteoritics 10: p.451; Jones, R.H., McCubbin, F.M., Dreeland, L., Guan, Y., Burger, P.V. & Shearer, C.K. (2014) Phosphate minerals in LL chondrites: A record of the action of fluids during metamorphism on ordinary chondrite parent bodies. Geochimica et Cosmochimica Acta 132: pp. 120-140. (May 2014). Reed, S.J.B. & Smith, D.G.W. (1985) Ion probe determinations of rare earths in merrillite and apatite in chondrites: Earth and Planetary Science Letters 72: 238-244.
ⓘ Orgueil meteorite (Montauban meteorite; Orguell meteorite) ? Brannon, J. C., Podosek, F. A. & Lugmair, G. W. (1988) Initial Sr-87/Sr-86 and Sm-Nd chronology of chondritic meteorites: IN: Lunar and Planetary Science Conference XVIII. Cambridge and New York/Houston, TX, Cambridge University Press/Lunar and Planetary Institute: 555-564. Crozaz G., Pellas, P., Bourot-Denise, M., de Chazal, S.M., Fieni, C., Lundberg, L.L. & Zinner, E. (1989) Plutonium, uranium and rare earths in the phosphates of ordinary chondrites—the quest for a chronometer: EPSL 93: 157-169. Mittlefehldt, D. W., et al. (1998). Non-chondritic meteorites from asteroidal bodies. In: Planetary Materials (Papike, J. J. [Ed. ]): Chapter 4, 195 pages. Mineralogical Society of America: Washington, DC, USA. Treiman, A. H. (1985). Amphibole and hercynite spinel in Shergotty and Zagami: Magmatic water, depth of crystallization, and metasomatism. Meteoritics, 20(2), 229-243. Perron, C., Bourot-Denise, M.,Marti, K., Kim, J. S. & Crozaz, G. (1992) The Metal-Phosphate Connection in Chondrites: Meteoritics 27(3): p. 275. (July 1992). Lauretta, Dante S., Peter R. Buseck, and Thomas J. Zega (2001) Opaque minerals in the matrix of the Bishunpur (LL3.1) chondrite: constraints on the chondrule formation environment. Geochimica et Cosmochimica Acta: 65(8)(15 April 2001): 1337-1353. 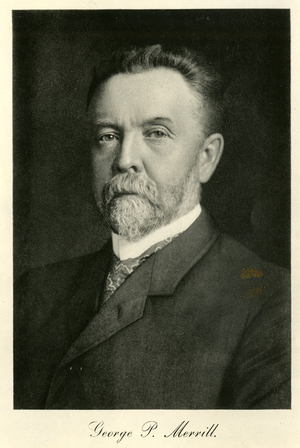 Van Schmuss, W.R. & Ribbe, P.H. (1963) Composition of phosphate minerals in ordinary chondrites: Geochimica et Cosmochimica Acta 33 (5): 637-640. Bull, R.K. & Mold, P. (1982) Fission Tracks in chondritic meteorites and the search for siderophile heavy elements. IN: Solid State Nuclear Track Detectors: Proceedings of the 11 International Conference Bristol: (Fowler, P., ed. ): Pergamon.pp. 855-858. Reed, S.J.B. & Smith, D.G.W. (1985) Ion probe determination of rare earth elements in merrillite and apatite in chondrites.Earth and Planetary Science Letters 72: 238-244. Rubin, A.E., and Grossman, J.N. (1985) Phosphate-sulfide assembladges and Al/Ca ratios in type-3 chondrites. Meteoritics & Planetary Science, 20, 3, 479–489. Levi-Donati, G. R. (1971) Petrological Features of Shock Metamorphism in Chondrites: Alfianello. Meteoritics 6(4): 225-235. Baldanza, B. & Triscari, M. (1985) Mineralogy, petrology and chemistry of the Messina (Italy) chondrite: Meteoritics 20: 79-87. (March 1985). Meteoritical Bulletin 84 (Aug.2000); Grady, M. M., Pratesi, G. & Moggi-Cecchi, V. (2015) Atlas of Meteorites. Cambridge University Press: Cambridge, United Kingdom. 373 pages. Folco, L. et al. (2004) Extensive impact melting on the H-chondrite parent asteroid during the cataclysmic bombardment of the early solar system: Evidence from the achondritic meteorite Dar al Gani 896. Geochimica et Cosmochimica Acta 68 (10): 2379-2397. (May 2004). LUNAR AND PLANETARY SCIENCE XV, P. 699-700. Abstract. Aldave, L.A., Guinea, J.G. & Tormo, L. (2011) Spectra Luminescence of Extraterrestrial Calcium Phosphates in Mexican Chondrites: Spectroscopy Letters 44: 574-579. Graham, A.L., Michel-Levy, M.C., Danon, J. & Easton, A.J. (1988) The Tuxtuac, Mexico, meteorite, an LL5 chondrite fall: Meteoritics 23(4) :321-323. (Dec. 1988). ; Jones, R.H., McCubbin, F.M., Dreeland, L., Guan, Y., Burger, P.V. & Shearer, C.K. (2014) Phosphate minerals in LL chondrites: A record of the action of fluids during metamorphism on ordinary chondrite parent bodies. Geochimica et Cosmochimica Acta 132: pp. 120-140. (May 2014). Bischoff, A (1993) Alkali-granitoids as fragments within the ordinary chondrite Adzhi-Bogdo: Evidence for highly fractionated, alkali-granitic liquids on asteroids. In :Twenty-fourth Lunar and Planetary Science Conference. Part 1: A-F:113-114.; Sokol, A.K. & 4 others (2007) Late accretion and lithification of chondritic parent bodies: Mg isotope studies on fragments from primitive chondrites and chondritic breccias: Meteoritics & Planetary Science 42(7/8):1291-1308. (Jul/Aug2007). ; Terada, K. & Bischoff, A. (2009) Asteroidal Granite-Like Magmatism 4.53 Gyr Ago. The Astrophysical Journal Letters 699(2): L68-L71. (June 2009) . Jambon, A., Barrat, J. A., Sautter, V., Gillet, P., Göpel, C., Javoy, M., ... & Lesourd, M. (2002). The basaltic shergottite Northwest Africa 856: Petrology and chemistry. Meteoritics & Planetary Science, 37(9), 1147-1164.
de Chazal, S., Crozaz, G., & Zinner, E. (1985) Uranium, Plutonium, and REE in Ordinary Chondrites (abstract): Lunar and Planetary Science Conference XVI, pp. 169-170. (March 1985). ; Brearley, A.J. & Jones, R.H. (1998) Chondritic Meteorites. In: Planetary Materials (Papike, JJ - Ed. ), Chapter 3: 1-398: Mineralogical Society of America, Washington, DC, USA. Bourot-Denise, M., Zanda, B. & M. Javoy, M. (2012) Tafassasset: An Equilibrated CR Chondrite. 33rd Annual Lunar and Planetary Science Conference, March 11-15, 2002, Houston, Texas, abstract no.1611. (Mar 2012). Wang, A., Jolliff, B. L., & Haskin, L. A. (1999). Raman spectroscopic characterization of a Martian SNC meteorite: Zagami. Journal of Geophysical Research: Planets (1991–2012), 104(E4), 8509-8519.; Ma, C. et al. (2018) Liebermannite, KAlSi3O8, a new shock-metamorphic, high-pressure mineral from the Zagami Martian meteorite: Meteoritics & Planetary Science 53 (1): 50-61. (Jan 2018). Meteoritical Bulletin 86: July, 2002; Barrat, J. A., Jambon, A., Bohn, M., Gillet, P., Sautter, V., Göpel, C., ... & Keller, F. (2002). Petrology and chemistry of the picritic shergottite North West Africa 1068 (NWA 1068). Geochimica et Cosmochimica Acta, 66(19), 3505-3518. Russell, S. S. & 6 others (2003). The Meteoritical Bulletin, No. 87, July 2003. Meteoritics & Planetary Science 38(7,Suppl. ): A189-A248. (July 2003). ; Grady, M. M., Pratesi, G. & Moggi-Cecchi, V. (2015) Atlas of Meteorites. Cambridge University Press: Cambridge, United Kingdom. 373 pages. ref. : http://mars.jpl.nasa.gov/newsroom/pressreleases/20030212c.html. ; Irving, A. J., & Kuehner, S. M. (2003, March). Petrology of NWA 1460: A Baddeleyite-bearing Shergottite Paired with NWA 480. In Lunar and Planetary Institute Science Conference Abstracts (Vol. 34, p. 1503). Suporn Boonsuea & John Spraya (2012) Shock-Induced Phase Transformations in Melt Pockets within Martian Meteorite NWA 4468. Spectroscopy Letters: An International Journal for Rapid Communication 45:127-134. Barrat, J. A., Gillet, P., Sautter, V., Jambon, A., Javoy, M., Göpel, C., ... & Petit, E. (2001). The basaltic shergottite North West Africa 480: Petrology and geochemistry. Meteoritics and Planetary Science Supplement, 36, 14. Weisberg et al., (2008) Meteoritical Bulletin, no. 94: Meteoritics and Planetary Science 43 (9): 1551-1588. (Sept 2008) ; Anorthite, Diopside, Olivine; Merrillite, Pleonaste, Spinel, Troilite; Riches, A.J.V. et. al. (2012) Rhenium–osmium isotope and highly-siderophile-element abundance systematics of angrite meteorites. Earth and Planetary Science Letters 353-354: 208-218, Angrite Appendix. Jambon, A., Barrat, J.-A., Bollinger, C., Sautter, V., Boudouma, O., Greenwood, R.C., Franchi, I.A. and Badia, D. (2010) Northwest Africa 5790. Top sequence of the nakhlite pile. 41st Lunar and Planetary Science Conference, PDF 1696.
ⓘ Sayh al Uhaymir 094 Martian meteorite (SaU 094) ? Crozaz, G. & Zinner, E. (1985) Rare Earth Element Concentrations of Mesosiderite Merrillite: Meteoritics 20 (4): 629-630. (Dec 1985); Mittlefehldt, D. W., McCoy, T. J., Goodrich, C. A. & Kracher, A. (1998). Non-chondritic meteorites from asteroidal bodies. In: Planetary Materials (Papike, J. J. [Ed. ]): Chapter 4, 195 pages. Mineralogical Society of America: Washington, DC, USA. Fredriksson, K., Fredriksson, B. J. & Kraut, F. (1986) The Hedjaz meteorite: Meteoritics 21(2): 159-168. (June 1986). ; Misawa, K. & Nakamura, N. (1987) The Hedjaz Meteorite: REE Abundances in Chondrules and Lithic Fragments: Abstracts of the Lunar and Planetary Science Conference, volume 18, page 645. Mason, B. & Maynes, A.D. (1967) The Composition of the Allegan, Bur-Gheluai, and Cynthiana meteorites: Proceedings of the United States National Museum 124, # 3624: Smithsonian Institution Press: Washington, DC. (Oct 1967). Telus, M., Alexander, C.M.O’D., Hauri, E.H. & Wang, J. (2016) H isotopic composition of phosphates in H4 chondrites. Lunar and Planetary Conference XLVII: 1742.pdf. Rubio-Ordóñez, A., Cárdenes, V., Rodríguez-Terente, L., Tormo, L. & García-Guinea, J. (2011) BSE, CL and Raman Spectroscopy Study of Phosphates and Maskelynite in the H6 Cangas de Onis Regolith Breccia. CORALS II Conference: 4024.pdf. (May 2011). Hsu, W. & Crozaz, G. (1996) Pomozdino and Peramiho: Are They Anomalous Eucrites? Lunar and Planetary Science XXVII: 567-568. Bull, R.K. & Mold, P. (1981) Fission Tracks in chondritic meteorites and the search for siderophile heavy elements. IN: Solid State Nuclear Track Detectors: Proceedings of the 11 International Conference Bristol (Fowler, P., ed. ): pp. 855-858. Pergamon. Reed, S.J.B. & Smith, D.G.W. (1985) Ion probe determinations of rare earths in merrillite and apatite in chondrites: EPSL 72: 238-244. Semenenko, VP, Samoilovich, LG & Tertichnaya, BV (1986) Two types of metal particle in the Bachmut (L6) chondritic meteorite. Mineralogical Magazine 50, 317-322. (June 1986). Lewis, J.A. & Jones, R.H. (2016) Phosphate and feldspar mineralogy of equilibrated L chondrites: The record of metasomatism during metamorphism in ordinary chondrite parent bodies: Meteoritics & Planetary Science 51(10): 1886. (Oct 2016). ; Krot, A.N., Ivanova, M.A., Petaev, M.I., Sidorov, Y.I., Kononkova, N.N. & Karataeva, N.N. (1991) Chromite-rich Chondrules in the Ordinary Equilibrated Chondrites and Their Possible Formation: Abstracts of the Lunar and Planetary Science Conference XXII: p. 759. Petaev, M. I. (1995) Breakdown of Primary Na,Al-rich Pyroxene in an Al-rich Object from the Gorlovka H3-4 Chondrite: Evidence for Secondary Heating and Partial Melting: Abstracts of the Lunar and Planetary Science Conference XXVI: 1113-1114. (March 1995). Semenenko, V.P. and A.L. Girich (1994) Mineralogy of a fragment in the unique graphite-containing Krymka chondrite (LL3): MM: 59: 396-443. www.minersoc.org/pages/Archive-MM/Volume_59/59-396-443.pdf ; Rubin, E.A. (1985) Phosphate-sulfide assemblages and Al/Ca ratios in type-3 chondrites: Meteoritics 20(3):479-489. (Sept 1985). Mason B. & Wikk H. B. (1963): The Composition of the Richardton, Estacado, and Knyahinya Meteorites. Amer. Mus. Novitates, 2154, 1-18.; Reed, S.J.B. & Smith, D.G.W. (1985) Ion probe determinations of rare earths in merrillite and apatite in chondrites: Earth and Planetary Science Letters 72: 238-244. Delaney, J. S., Prinz, M., Harlow, G. E., & Nehru, C. E. (1982) Metamorphism in mesosiderites. In: Proceedings of the Lunar and Planetary Science Conference XII . Section 2.: pp. 1315-1342: New York and Oxford, Pergamon Press. ; Crozaz, G. & Zinner, E. (1985) Rare Earth Element Concentrations of Mesosiderite Merrillite: Meteoritics 20 (4): 629-630. (Dec 1985) ; Mittlefehldt, D. W., McCoy, T. J., Goodrich, C. A. & Kracher, A. (1998). Non-chondritic meteorites from asteroidal bodies. In: Planetary Materials (Papike, J. J. [Ed. ]): Chapter 4, 195 pages. Mineralogical Society of America: Washington, DC, USA. Kothari, B. K. & Rajan, R. S. (1980) Fission tracks in Fayetteville and Weston phosphates: Metamorphic or brecciation ages? LPI Contribution 412 (Criswell, P. ed.) Lunar and Planetary Institute: Houston, TX. Crozaz G. & 6 other authors (1989) Plutonium, uranium and rare earths in the phosphates of ordinary chondrites—the quest for a chronometer: Earth and Planetary Science Letters 93: 157-169. Gibson, E.K., Jr., Lange, D.E., Keil, K., Schmidt, T.E. & Rhodes, J.M. (1977) The Kramer Creek, Colorado meteorite - A new L4 chondrite: Meteoritics 12(2): 95-107. (June 1977). Ivanova, M.A., Krot, A.N., Mitreikina, O.B. & Zinovieva, N.G. (1992) Chromite-rich Inclusions in the Homestead (L5) Chondrite (abstract): Lunar and Planetary Science Conference XXIII: page 585. (March 1992). King, T.V.V. & King, E.A. (1981) Accretionary dark rims in unequilibrated chondrites: Icarus 48(3) p. 460-472. (Dec. 1981) . Boesenberg, J. S., Delaney, J. S. & Prinz, M. (1997) Magnesian megacrysts and matrix in the mesosiderite Lamont: Lunar and Planetary Science Conference XXVIII: 125-126. [pdf#1491]. (Mar 1997); Mittlefehldt, D. W., McCoy, T. J., Goodrich, C. A. & Kracher, A. (1998). Non-chondritic meteorites from asteroidal bodies. In: Planetary Materials (Papike, J. J. [Ed. ]): Chapter 4, 195 pages. Mineralogical Society of America: Washington, DC, USA. Boesenberg, J. S., Prinz, M., Weisberg, M. K., Davis, A. M., Clayton, R. N. & Mayeda, T. K. (1995) Pyroxene Pallasites: A New Pallasite Grouplet. Meteoritics 30 (5): 488-489. (Sept 1995); Boesenberg, J. S., Davis, A.M., Prinz, M., Weisberg, M.K., Clayton, R.N. & Mayeda, T.K. (2000) The pyroxene pallasites, Vermilion and Yamato 8451: Not quite a couple. Meteoritics & Planetary Science 35 (4): 757-769. (July 2000); Grady, M. M., Pratesi, G. & Moggi-Cecchi, V. (2015) Atlas of Meteorites. Cambridge University Press: Cambridge, United Kingdom. 373 pages. King, T.V.V. & King, E.A. (1981) Accretionary dark rims in unequilibrated chondrites: Icarus 48(3): 460-472. (Dec. 1981). Palache, C., Berman, H., & Frondel, C. (1951), The System of Mineralogy of James Dwight Dana and Edward Salisbury Dana, Yale University 1837-1892, Volume II: 797. Fodor, R.V., Keil, K., Jarosewich, E. & Huss, G.I. (1969). A mineralogical and chemical study of the Burdett, Kansas, chondrite: Meteoritics 4: 272. (Sept 1969). ; Fodor, R.V., Keil, K., Jarosewich, E. & Huss, G.I., (1971) Mineralogy, petrology, and chemistry of the Burdett, Kansas, chondrite: Chemie der Erde : Beitrage zur chemischen Mineralogie, Petrographie und Geologie 30: 103-113. Fuchs, L.H. (1969) The Phosphate Mineralogy of Meteorites: IN: Meteoritic Research: Millman, P.M.-Ed. : pp. 683-695. D. Reidel Publishing Company: Dordrecht-Holland. ; Olsen, E. (1981) Vugs in ordinary chondrites: Meteoritics 16 (1): 45-59. (Mar., 1981). Lewis, J.A. & Jones, R.H. (2016) Phosphate and feldspar mineralogy of equilibrated L chondrites: The record of metasomatism during metamorphism in ordinary chondrite parent bodies: Meteoritics & Planetary Science 51(10): 1886. (Oct 2016). Rubin, A.E., Ulff-Møller, F., W., J.T. & C, W.D. (2001) Article: Geochimica et Cosmochimica Acta 65(2): 323-342. (Jan 2001). ; Ruzicka, A., Killgore, M., Mittlefehldt, D. W. & Fries, M. D. (2005) Portales Valley: Petrology of a metallic-melt meteorite breccia. Meteoritics & Planetary Science 40 (2): 261-295. (Feb 2005). Jones, R. H. & McCubbin, F. M. (2012) Phosphate Mineralogy and the bulk chlorine/Fluorine ratio of ordinary chondrites: 43rd Lunar and Planetary Science Conference, 2029.pdf. Shannon, E.V. & Larsen, E.S. (1925) Merrillite and chlorapatite from stony meteorites. Amer. Jour. Sci. 9: 250-260. Mason, B. & Jarosewich, E. (1973) The Barea, Dyarrl Island, and Emery meteorites, and a review of the mesosiderites: Mineralogical Magazine 39 (302): 202-215. (June 1973) ; Delaney, J. S., Prinz, M., Harlow, G. E., & Nehru, C. E. (1982) Metamorphism in mesosiderites. In: Proceedings of the Lunar and Planetary Science Conference XII . Section 2. p. 1315-1342: New York and Oxford, Pergamon Press. ; Crozaz, G. & Zinner, E. (1985) Rare Earth Element Concentrations of Mesosiderite Merrillite: Meteoritics 20 (4): 629-630. (Dec 1985) ; Mittlefehldt, D. W., McCoy, T. J., Goodrich, C. A. & Kracher, A. (1998). Non-chondritic meteorites from asteroidal bodies. In: Planetary Materials (Papike, J. J. [Ed. ]): Chapter 4, 195 pages. Mineralogical Society of America: Washington, DC, USA. Alwmark, C., Schmitz, B., Holm, S., Marone, F. & Stamponi, M. (2011) A 3-D study of mineral inclusions in chromite from ordinary chondrites using synchrotron radiation X-ray tomographic microscopy—Method and application: Meteoritics & Planetary Science 46 (8): 1071–1081. (Aug 2011). Crozaz, G. & 6 others (1989) Plutonium, uranium and rare earths in the phosphates of ordinary chondrites—the quest for a chronometer: Earth and Planetary Science Letters 93 (2): 157-169. Fuchs, L.H. (1969) The Phosphate Mineralogy of Meteorites: IN: Meteoritic Research: Millman, P.M.-Ed. : pp. 683-695. D. Reidel Publishing Company: Dordrecht-Holland. ; Goreva, J.S. & Burnett, D.S. (2001) Phosphate control on the Th/U variations in ordinary chondrites: Improving solar system abundances: Meteoritics & Planetary Science 36(1): 63-74. (Jan 2001). Barnes (1940) University of Texas Publication 3945: 623; Palache, C., Berman, H., & Frondel, C. (1951), The System of Mineralogy of James Dwight Dana and Edward Salisbury Dana, Yale University 1837-1892, Volume II: 797. Merrill, G.P. (1925) Notes on the Meteoric Stone of Colby, Wisconsin. Proceedings of the United States National Museum Vol. 67, Article 2, pp. 1-3. US Government Printing Office: Washington, DC; Crozaz G. & Zinner, E. (1985) Ion probe determinations of rare earths in individual meteoritic phosphate grains: Earth and Planetary Science Letters 73: 41-52.